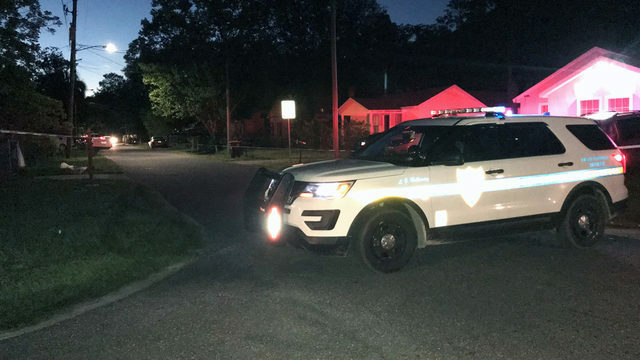 JACKSONVILLE, Fla. - Jacksonville police are searching for a man believed to have been involved in the attempted abduction of a teenager Thursday in the Sherwood Forest neighborhood of Northwest Jacksonville. Police released a composite image of the man, who is described as black and in his 40s, about 6 feet, 2 inches to 6 feet, 4 inches tall, with a muscular build. Police said the attempted abduction was reported around 6:45 a.m. Thursday on Waynesboro Avenue. They said the victim, who is not being identified but is a teenager, was walking in the area when the unknown man approached in a black, four-door sedan. The teen said the man got out and approached and the teen turned to run but fell. The teen said the man grabbed their shirt but was unable to keep hold as the teen escaped on foot. The vehicle was described as possibly being a Chevrolet Impala with dark-tinted windows. Parents and neighbors were concerned Wednesday after they learned of the abduction attempt because a lot of children walk in the neighborhood. An elementary school is not far from where the attack was reported. "They need to have someone to watch, to be around the schools to watch the kids," neighbor Cornelius Cox said. Parent Jeneria Chrispin said the lighting in the neighborhood is an issue. "It's scary being a mother of two and they have to walk these streets to go to school and back," Chrispin said. “When they leave here in the morning, it's dark out, and they have to walk a little distance in the dark, and there’s really not any streetlights, and if there is, it's not bright enough -- so anything could happen to any child at any time." Beverly Gelsey has grandchildren who live in the area and said the crime is alarming. According to the JSO crime map, 18 crimes, including assault, burglary and armed robbery, were reported in the last four weeks within a mile of the area. Anyone who has any information on the identity of the man is asked to contact the Sheriff's Office at 904-630-0500 or email JSOCrimeTips@jaxsheriff.org. To remain anonymous and receive a possible reward up to $3,000, contact Crime Stoppers at 1-866-845-TIPS.